And it turned out to be 100% accurate, predicted not only that Fedor would be defeated, but also when (1st round) and how - by knockout. 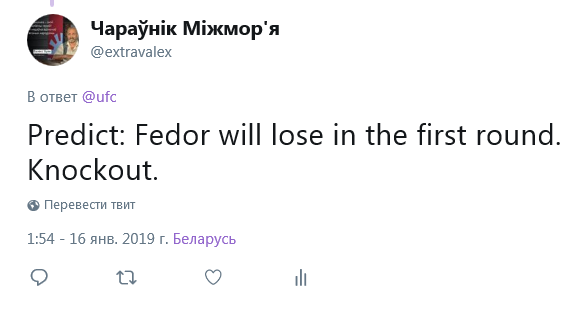 This is not my first correct prediction for Fedor Emelianenko, and not only on his defeats, but also victories. There were erroneous predictions, I analyzed them and made certain conclusions on how to make a prediction. This is what I took into account in the last correct prediction. Predictor, psychic, participant of many TV shows with paranormal tests.